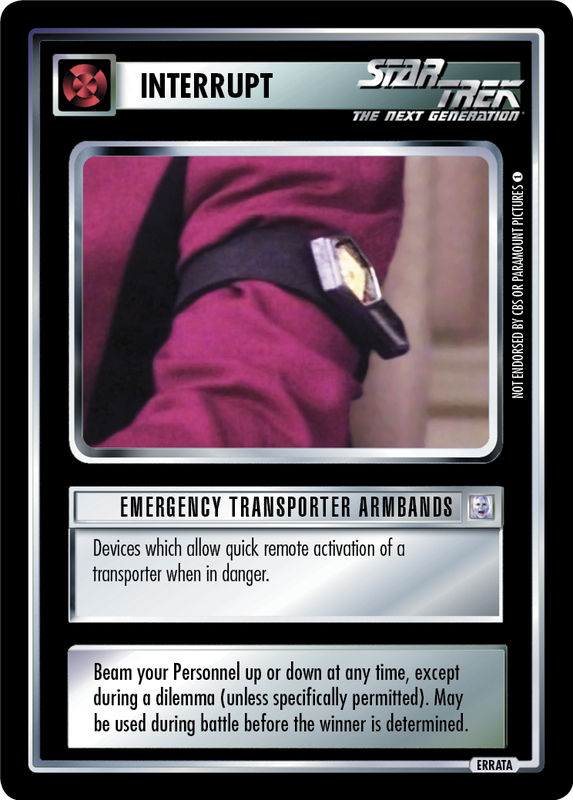 Devices which allow quick remote activation of a transporter when in danger. Beam your Personnel up or down at any time, except during a dilemma (unless specifically permitted). May be used during battle before the winner is determined.